Kids need cool stuff too. I am a huge proponent of the line of thinking the more ways you can give kids things that communicate the values of your kids ministry the better. 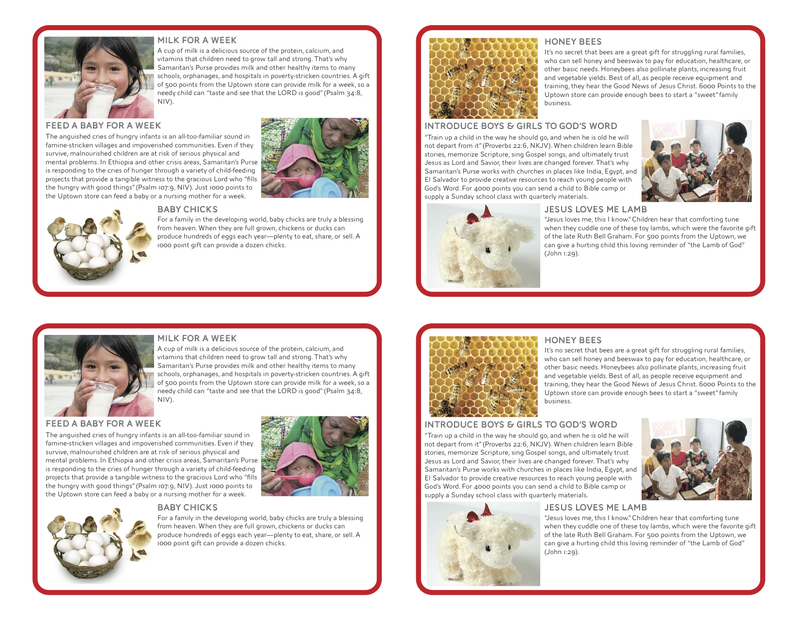 I try to design every printed piece with our values in mind, how well does it communicate those things. I think that if you have the ability to create cool pieces that go beyond your walls you should. When kids have things from church that are cool it helps build pride and creates it’s own sense of community. 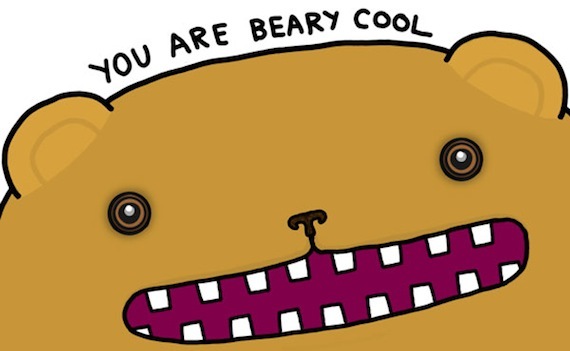 We need authentic human relationships for sure but when kids can wear a cool pin or t-shirt it’s free advertising in the school and it gives kids a sense of belonging. The cooler the better. We in the christian community are great at telling our kids what not to wear. In doing that I believe we teach our kids Christianity is about do’s and don’t. We need to be better at embracing what is good about our culture and pointing out what is bad rather than creating our own subculture. Be a force within culture rather than always fight against it. Here’s some of the bling I have been working on for our kids. UPTOWN BUTTONS – Kids can wear on coats or book bags – boys and girl version. 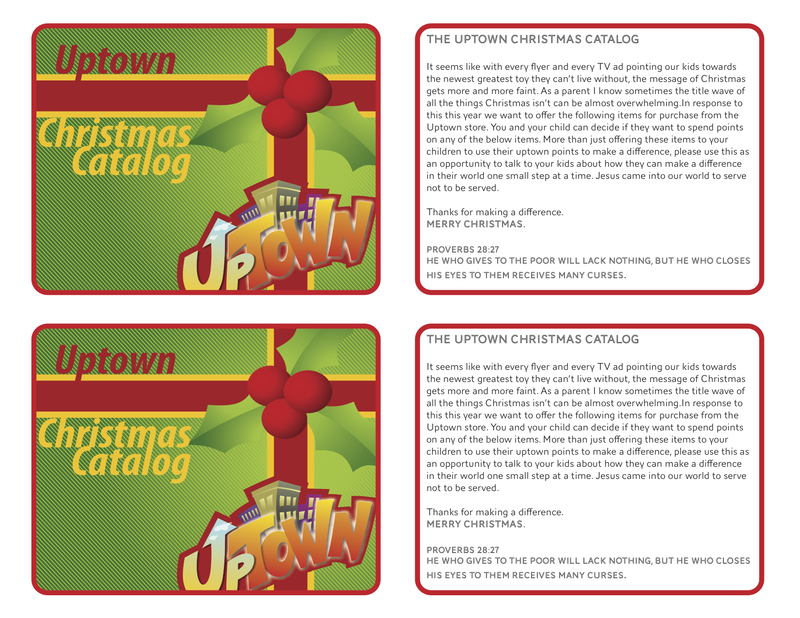 UPTOWN CHRISTMAS CATALOG – This is the catalog we give our families. 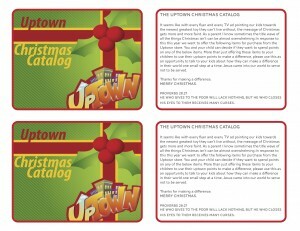 We allow kids to use their points to our candy/toy store to buy things for kids in other countries. TEE SHIRT DESIGN FOR OUR KIDDOS – This is a tee shirt design I am working on to make as a prize and for sale for our kiddos so they can represent with a cool tee at school. Any who – would love your feedback what you love what you hate and why? Love the catalog! 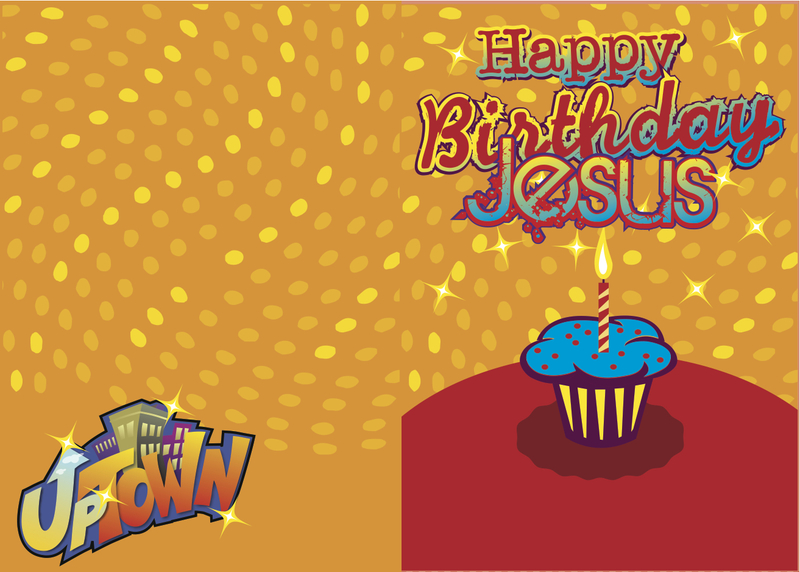 I would love to know what ya'll do for the Birthday Party for Jesus. The church we are at had one last yr, before my husband was children's pastor, and for lack of a nicer word….it was LAME! 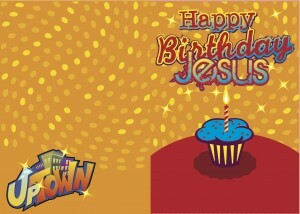 But the church just loooooves to have the birthday party, so anything to make it cooler would be awesome! 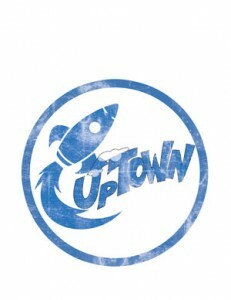 I like the Uptown with the rocket. If you could get me one in 2XL, I'll wear it on a video and post it on my blog. 🙂 Your friend Andy Hays already said he was going to send me some redeemer wear… okay, that was a lie, he didn't make me any promises. Good stuff Sam. I like the buttons. The Catalog is an incredible idea! How often do you make a new t-shirt design and how many do you make to keep on site? I have a general t-shirt but I contemplated the idea of a limited edition SCK shirts.